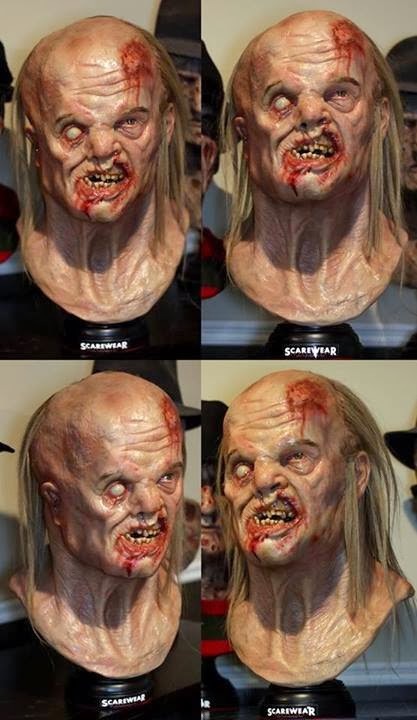 Last year our attention was pointed towards a company called Scarewear Productions that not only creates wearable masks of Jason Voorhees, but resin display busts as well. Some of Scarewear's work is truly remarkable and if you can afford to throw some of your disposable income their way, you can own some of the nicest looking Jason Voorhees busts in the community today. Just released are a few photos of their latest creation of Jason from Friday The 13th 2009 called the "Mear Mangler". The detail is astonishing and looks very life-like. If you like the work you see then please visit the Scarewear Productions' Facebook Page and get in contact with them to find out more about their Jason Voorhees and other Horror projects!